As we celebrate Pentecost today with its gift of the Holy Spirit, we reflect on the reading today from Paul’s letter to an early Christian community at Corinth – “Now there are varieties of gifts, but the same Spirit; and there are varieties of service, but the same Lord; and there are varieties of activities, but it is the same God who empowers them all in everyone.” (1Cor12: 4-6). Let me say thank you to all who give of their time and talent here at St. Francis, responding to that same Spirit which empowered a frightened group of apostles to leave behind a locked room and move out into the world as peacemakers. 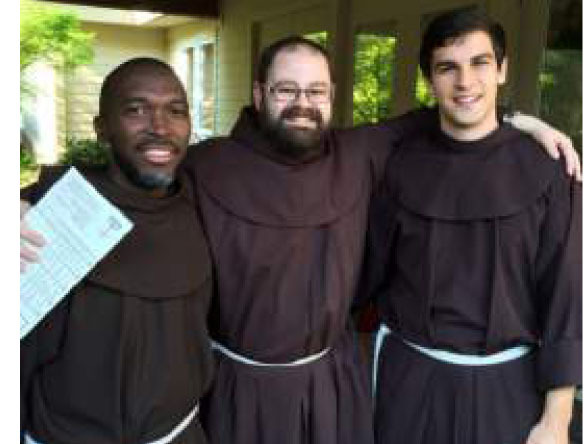 Last weekend you may have seen three of our friars who are in formation in Washington D.C. They were here as part of their own “Southern tour” of our province, going from North Carolina to South Carolina and Georgia and then back to D.C. before they begin their ministries for the summer. We had a cookout on Sunday night and they were on their way Monday morning. It was nice for us to spend some time with these friars in formation. Some news from our school and preschool: there is still space in some grade levels, in particular the kindergarten for more students. Do you have a kindergarten age child or do you know one and are looking for a great school? Or do you have a 3-year-old or 4-year-old and are looking for a preschool? Both our school and preschool are treasures and add so much to the life of our parish. Contact either school for more information. 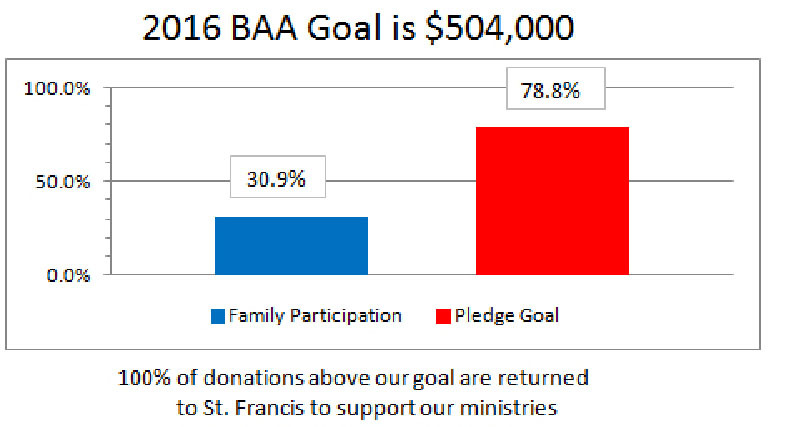 Continued thanks as well to all who have responded to our 2016 Bishop’s Annual Appeal. I received a personal note from Bishop Burbidge himself thanking us for our generosity, as we make our way towards our goal. Haven’t given yet? There’s still time!